Volunteers complete installation of last heritage trail board. The nine boards have been located in strategic places around the village, each containing specific information about its location. They have proven to be very popular with both local people and visitors alike. 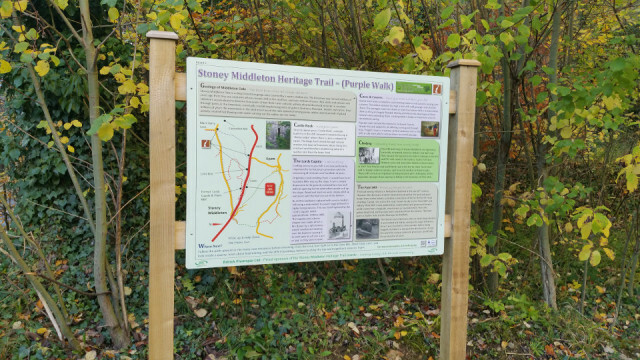 The boards were designed and erected by SMHCCG volunteers, but funded by British Fluorspar Ltd, who operate Cavendish Mill in Stoney Middleton. Feedback received so far has been very positive. 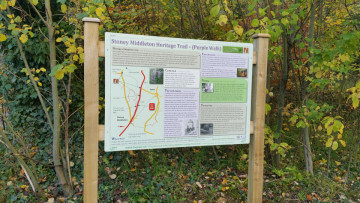 Visitors have found the information on the boards to be extremely beneficial and enlightening, enhancing their experience and knowledge of the village.